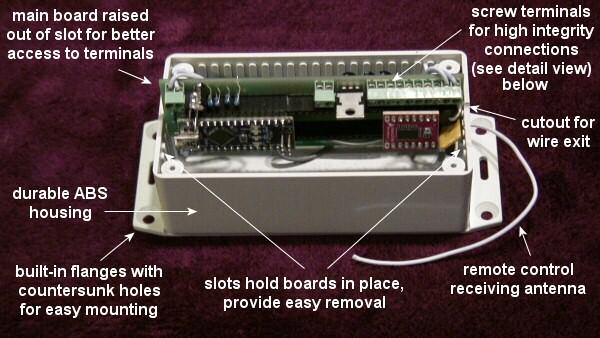 This picture above shows the RollerNode™ (RN-12v-10w-1) controller internal features, with the lid off and the motherboard slightly raised in its slot. The RollerNode™ RN-12v-10w-1 unit is an Arduino compatible motor controller that was created as a companion product for our radio equipped shade and blind motors. An RF (Radio Frequency) signal is used for transmission of the remote control signal, capable of passing through walls, and in most cases can reach anywhere inside a typical home. A small antenna receives the control signal from the multi-channel remote control and a microprocessor then uses the decoded signals to activate the motor output. The on-board 'MiniMight™' reversing motor controller is used to operate devices that have a reversible 12v DC motor, such as our 12v window and skylight openers covered in this article. 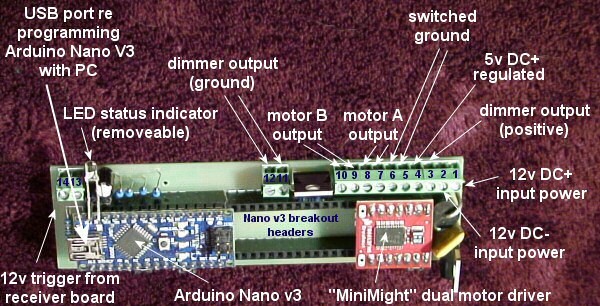 The MiniMight™ motor controller can also be re-purposed and used to control other devices (such as relays) by reprogramming the Arduino™ microprocessor with a laptop or PC. This functionality is detailed in the advanced instructions for reprogramming the microcontroller, and will not be covered in this article. It is a simple procedure that essentially sends a text file (downloaded from our website) through the USB port to the Arduino microprocessor onboard the RollerNode™ unit. If you want to examine the program script code that is pre-loaded into the Arduino Nano, please go to the RollerNode™ Script Library and look at the script entitled RollerNode™ Single DC Motor Forward/Reverse Timed Operation, Using Both Motor Channels Combined . 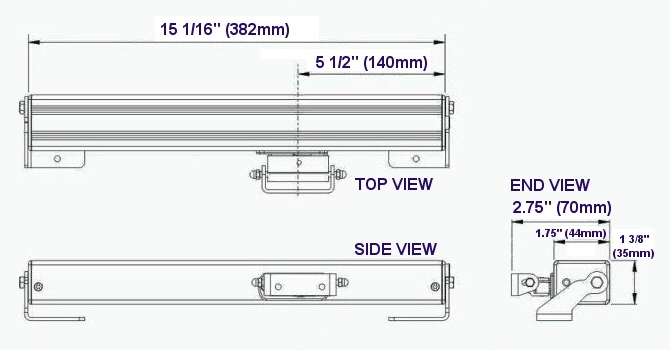 The RollerNode™ programmable controller operates our standard series 12 volt electric chain actuator for controlling windows, skylights, vents, shutters and any other item you would like to move with a motorized actuator. It can be controlled by a simple switch, or with our optional remote controls. 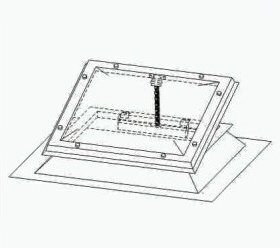 The actuator unit can exert a push/pull force of approximately 20 lbs before the obstruction sensor will stop it. 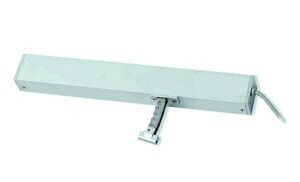 The interlocking linear chain actuator pushes straight out from the fixed housing which lines up unobtrusively with your window frame, fastened in place with mounting screws. Attach the end of the chain actuator to the window with two screws and you're done! The flex link direct push drive has a 300mm stroke (~12"), the opening/closing force is approximately 20 lbs (9 kg﻿), current consumption is ~1.5 A. Use it to control the motion of anything you want, including windows, greenhouse vents, skylights, etc. 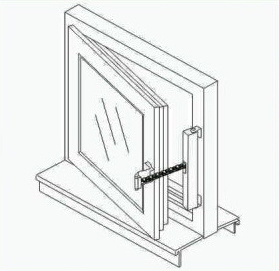 It can be adapted to work with most types of windows: single hung, double hung, hinged casement, awning, hopper, skylights, etc. The internal electronics provide motor overload cutoff and travel limit stops. Please see the picture at bottom showing dimensions of the actuator housing. 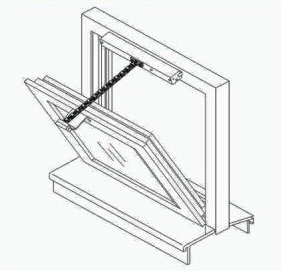 The installation is quite simple: attach it to the sill with the provided brackets, then attach the end of the chain to the window. 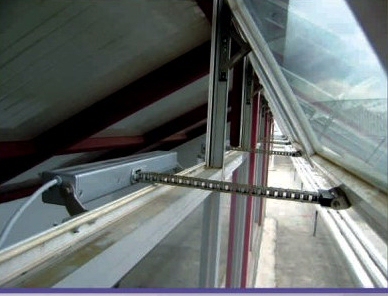 Please Note: Care should be exercised when these units are installed where adults or children could get fingers caught in a closing window - serious injury could result. Use of insect screens can help eliminate this possibility. The unit has a timed operation of 45 seconds regarding the opener; this is more than enough time to allow it to extend to its full reach. If you allow it to travel to its full extent, either retracted or deployed, and you want to immediately reverse it (before it times out), you will need to press the opposite button once to cancel the timer, then one more time to activate the motor in the opposite direction. Please note that it does not use the 'Stop' button on the remote. If you want to stop it part way, simply press the button opposite to the direction of travel. The most important item for installers are the 2 main screw terminal blocks: a 10 position unit for general connections (numbered 1 to 10), and a 2 position unit (numbered 11 & 12) for the dedicated PWM LED dimmer output. This article will only be concerned with the 2 motor output channels at positions 7, 8, 9, 10, and we will be combining the 2 motor channels into a single channel to boost the output to ~3 amps. 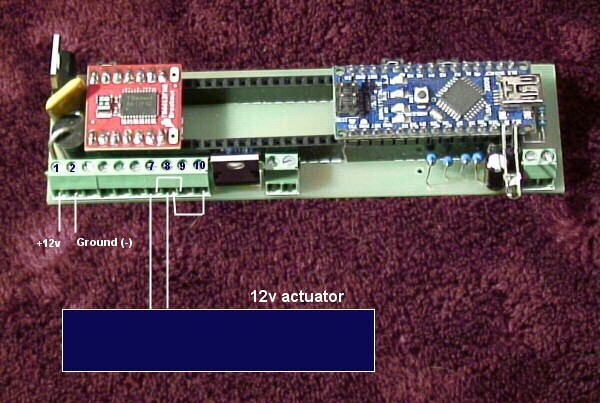 When you connect the actuator (or any 12v DC motor), if it works the opposite direction to what should be normal, simply reverse the leads to make it operate in the proper direction. Please Note: The 'limit' switch inside the remote is not used and should not be pressed, or you may require a factory reset. The chain actuators automatically stop when they reach either end of the excursion.